photos by Cindy Kurman, Kurman Communications, Inc. This summer, take the opportunity to enjoy all that River North has to offer with RNBA's Night Out in River North series. RNBA will make the arrangements - all you need to do is come and have fun!. These events are open to members and non-members alike so bring your friends. These events are casual, social gatherings at River North Business Association members so you can show your support and have fun, too! Meet other RNBA members and enjoy the world's most professional female impersonators. You will not believe your eyes as the entertainers take the stage in their one-of-a-kind solo numbers and extravagant group productions. 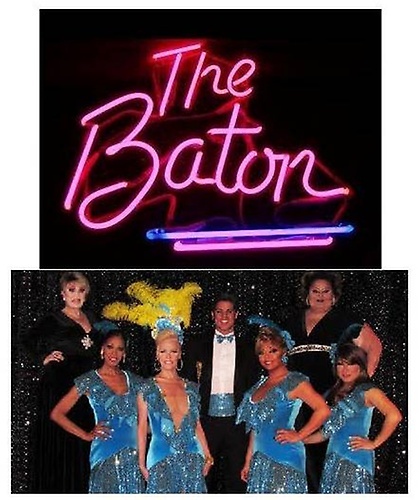 The Baton is the longest running revue of its kind in North America. Who needs Vegas with the Baton Show Lounge right here in River North.